In 1603 Elizabeth 1of England died. Having no children of her own to succeed her, James V1, already King of Scotland, acceded to the English throne. He was the daughter of Mary, Queen of Scots who, in turn, was a blood descendant of Henry V11 of England. The fact that James would succeed Elizabeth had been known for some time. It was also well known that James was set on uniting the thrones of England and Scotland in what was to be known as a new United Kingdom. In order to achieve this James knew that he must subdue the troublesome Border clans of both countries, who although they had acted as an effective buffer state in time of war and friction between the two nations, were now an embarrassment to him in his plans to unite the countries in the more settled times. He always had “special regard to the Marchis and Bordouris”. (The Borders). It was his intent that “the verie hart of the countrey sall not be left in ane uncertaintie”. Border custom and Border Law, unique in British history and the mainstay of Border control for three centuries were, he said “vanished and delete”. He was saying that the Borders which had previously existed between the two countries were no longer to be and that henceforth the people of the area should live in peace and harmony in what were to be known as the Middle Shires of his new United Kingdom. James may not have made his intentions clear until he actually sat on the throne of England but it is inconceivable that the Border clans, especially those of Scotland, would not have deduced, well in advance of the accession, that their way of life was about to come to an end. 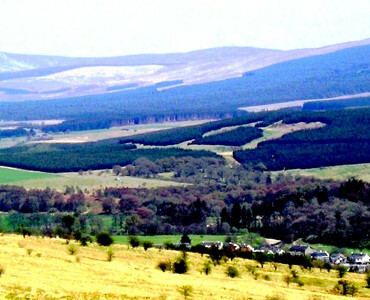 The Border clans of Scotland, only a couple of generations earlier had signalled their intense hatred for the monarchy of Scotland and James V whose resolve to “daunton the Borderis” and wipe Liddesdale from the face of the earth had backfired from the time he hanged Johnny Armstrong of Gilnockie at Carlenrig in 1530. From that date the Border clans, especially the Armstrongs, had detested James V and made no secret of their hatred for him. In 1528 Sim Armstrong, Laird of Whithaugh, had said that James was all ‘set upon viciousness’ against the Armstrongs and that there would be no rule in Scotland until it was ruled by an English king. Two generations later James V1 was not able to forget the stance of Sim Armstrong and the rest of his breed and their affiliation to many an English cause during the reign of his grandfather. He would anticipate the coming reckoning with great relish. Added to this the Scottish Borderers had no time for James V1, a king who put personal ambition before the interests of the country. They had no time for Union with England and saw only subjugation to a foreign power. Thus, at the death of Elizabeth 1, the Scottish Borderers knew what was about to unfold next in what was to be the final episode of their colourful history. It was, by tradition, said that at the death of one sovereign, and before the accession of the next, the laws of the country were held in abeyance. The Borderers on both sides of the Border Line took full advantage of this in what is known as “Ill Week” or ‘Busy Week’. In “Ill Week” the Border clans of both nations broke out and raided each other along the whole length and breadth of the Border. The reivers of the West March of Scotland, for instance, over two hundred strong, raided as far as Penrith in search of plunder. They looted, burned and reived in what they must have considered one last occasion in which to settle old scores and exact retribution for the deadly feuds which had been part and parcel of Border life for centuries. It was the same across the Borderland. Raid and counter raid, English against Scots, Scots against English. And just as suddenly as it began, it came to an end. The Border clans on both sides of the Line returned to their valleys and fastnesses and waited for the retribution they knew would come. It was as if “Ill Week” had never happened. Her successor is Jamie of Scotland, a king who has no time for us Borderers and has made no secret of his desire to unite the two nations of England and Scotland. Lately it has been announced that old Elizabeth, Queen of England, is dead. 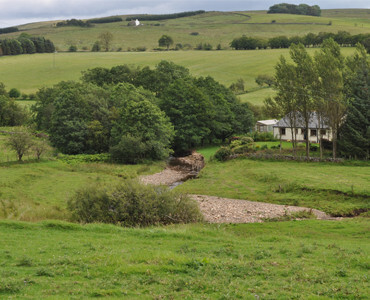 The news, which reached me here at Morton from my nephews in Liddesdale, six days after the old Queen died was momentous, news I have been dreading I would hear for three or four years now. With the passing of Elizabeth I foresee big changes to our Border way of life. Her successor is Jamie of Scotland, a king who has no time for us Borderers and has made no secret of his desire to unite the two nations of England and Scotland. With that will come the end of the Borders as they exist now, a buffer state between the two countries with its own laws, or lack of them, and its own customs. The aristocracy of Scotland, our so called superiors and betters find favour with this self-opinionated fool of a King and are already on their way south to take up desirable positions within his new court. They care little for the Scots people and a lot about themselves. We, the Border clans, cannot accept a role in the future that would make us subservient to the English. We fear that is soon to be our destiny. Did not Jamie always curry favour with Elizabeth when she was alive? What did he care for his mother, Mary, sovereign of Scotland and the Isles, even on the eve of her execution? Nothing was to get in the way of succeeding to the English throne, not even his own flesh and blood. Our hatred of such a self-serving man is justified; probably the hatred we feel for him is more than we feel for the English themselves. That feeling is mutual. And didn’t we make our feeling for the English felt last week! Man, what a time we had, though now the excitement and adrenalin has died, I fear nothing but savage retribution from this new King who, in his own eyes, rules as substitute for God and not as a man of the people. As I sit here, secure and warm in my Morton stronghold, I can reflect on last week’s events and its far-reaching and probable doleful consequences. Weren’t we only doing what we have done for a lifetime? What our forefathers were doing for three hundred and more years before us. Weren’t we just reiving? Last week’s was a special reiving. The news of Elizabeth’s death let loose the Borders. The clans, especially those of Liddesdale and the Scottish West March working in union for once, laid waste the English Borders from Tweed to Solway. Oh how the English suffered, cattle stolen, crops stolen and burned, insight pocketed and gathered, houses and steadings razed to the ground, the people of the English Marches killed and maimed. I fear we will pay heavy in reprisal. What Jamie will do now that we have offended his beloved English bears little thought. Last week was a rush of emotion based on our knowing that our way of life is to die and the foolhardy reasoning that between the death of one sovereign and the recognition of a new one the law of the state is on hold. To just think of it now makes me shudder with apprehension. There were a thousand from Liddesdale and the Scottish western Borders invading England with banners flying as in time of war. We invaded Cumbria and Northumberland to settle old scores, sought a final reckoning, a final balancing of feud and vendetta. One last chance to let the English and Jamie know that we do not lie down in subservience to the English nation. 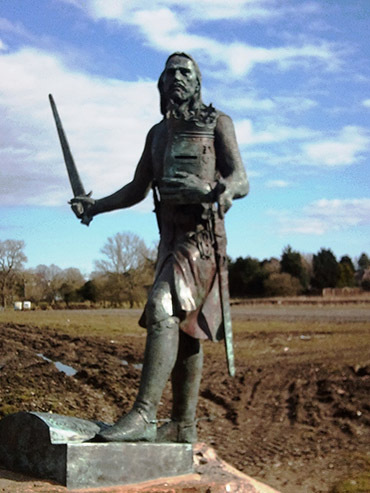 The Border clans were the first to answer the call to arms against “Longshanks”, Edward 1 of England three hundred years ago, the first to follow and honour our beloved Robert the Bruce, in our fight for Independence from the English. We will be the last; have shown we are the last to put down our arms against the hated southrons and their aggressive, imperious nature. The “Longshanks”, so called “Hammer of the Scots” dreamed of a United Kingdom. Endeavoured to achieve it by force of arms, but could not subdue us, hard as he tried. He was the first to leave us in abject poverty, starving and homeless, but he could not subdue our spirit. I fear that after last week Jamie will achieve that. Not through force, the relentless drive of armies, but through a timely fate; through the new religion adopted by our fawning disloyal aristocracy, our turncoat clan leaders, our friends until the lure of self aggrandisement proved more beckoning than the clan allegiance of centuries. I need mention no names. We, the faithful, are painfully and sadly aware. Hasn’t that always been the way with Scotland? Big hearts, great strength, aggression but, sadly, there is always disunity. And so I sit here before the fire, in this my home for over sixty years now, and muse. Muse on my life. I see, flitting before my eyes in the wavering flames, half remembered forays deep into England, sometimes near run things, sometimes outlandish successes. I dimly recall covert relationships with similar-minded lads of the English tribes, when, acting in unison, we would raid in Scotland or England. And great lads they were, defiant of their wardens and sovereigns, as we were. Good to think of these, the events which have shaped my life, but I must get last week out of my mind first. The joy of it, the exhilaration, the rush of true living when all the senses are tuned, active, alive and kicking, screams before my eyes, exploding from the back of the fire. I must feel every poignant moment of it before I lay it to rest; as lay it to rest I must. At least until the knock comes or the beacon fire tells me that atonement is marching from the south, seeking answers and a balancing of the scales for last week. Remember the good of it now, pay the piper later if I must. But not before a fight! And so a week ago today the clans of Liddesdale and Teviotdale met with other clans of the Western March. 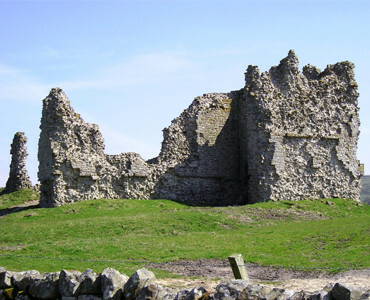 We travelled from Liddesdale to Bewcastle. It was a moonless night, much to our advantage as we were led by young Rinyon Armstrong who has a knowledge of the byways which belies his tender years. As dawn arrived he led us into a secluded glen where it was our intention to hole up for the daylight hours before raiding the peel tower and bastle house of Peel o’ the Hill after nightfall. We had heard there were especially rich pickings there. Thompson, the tenant, had been raided at least twice before to my knowledge. I, myself had been at one of the forays which filled my larder for a month as well as providing much linen for the delight and pleasure of the womenfolk back at Morton. 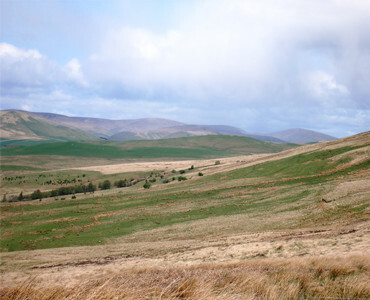 Thompson, from all accounts had replenished his stocks in the time honoured manner having taken twenty kye and ten nolte from Sorbietrees at the southern end of Liddesdale. He had also raided Mangerton but with no success. The fact that he had the effrontery to even endeavour such a strike against the chief speaks clearly of his fearlessness. So there was an old score to settle. As daylight began to break old Armstrong of Mangerton and I settled our horses and, having made ourselves comfortable, cast a critical eye about our present situation. We had holed ourselves up in the daytime many times before in secluded narrow vales that were convenient for the coming night’s raid. A short ride to our prey always meant that the horses would be strong for the return, which although inevitably slow as we herded and moved the stolen beasts, also required many deviations away from the normal passes and byways, often straight up and over steep hills and down narrow burn-filled defiles. After the rest of the day, the horses could more than cope with the return journey. The routes which had been handed down from generations of our forebears, were often well known to us but were still treated with the greatest of respect. In the dark of a moonless night one wrong foot could spell disaster for horse and rider. Neither of us was happy here. From where we were we could just make out a cottage in the hills to our right, and, listening very carefully the first noises of the day came from its inhabitants. There was very little tree cover here: just a few spindly beech and larch, leaves yet to open. Neither was the valley steep, secluded or deep. I wondered why Rinyon had chosen such a place but before I could voice my concern Mangerton spoke up. “I fear this place will not bear scrutiny from the folk over there” he said and pointed towards the cottage. “I’m sure they must see us as soon as the sleep is out of their eyes. More importantly, even at this distance they will hear us, especially the horses should they get restless. Move stealthily Will and bring young Rinyon over”. “I agree” I said. “Another ten minutes and the sky will be clear of dark. What’s more it’s to be a bright clear day by the look of it”. I moved off slowly and carefully, conscious that my jack clashed with the green of the grass. Within a minute Rinyon was back behind the slight knoll where Mangerton lay almost flat, his keen eyes never leaving the cottage whose lum now began to reek with smoke. Its outline became clearer by the second. Without turning his head he whispered sharply to young Rinyon, “Why have you brought us here? Surely it is madness and we will be seen long before this day is done. How can we rest comfortably, sleep till nightfall in such an exposed position? Why not the old places which have stood the test of time, never exposed, always secure? Rinyon, not well pleased with the criticism, and with the fake hurt of youth, retorted, “there is not a thing to concern yourself about. The tenant in the cottage is almost blind and lives there with a very young girl, grand-daughter I think. I have rested here afore with Mains and even the Laird of Redheugh on one occasion with no trouble. We watched the man and girl often as they went about their daily tasks yet the day was uneventful. There were times on that day when the horses were often restless yet neither man nor girl heard nor saw anything. “Yet it is folly” said Mangerton. “The tight glen near the Crew would have been safer, even though further from Peel o’the Hill. Admittedly there is less chance of being seen by any of the shepherds of the Hill here, but I am uneasy”. Whilst most of us tried to sleep, two of the gang were left on guard with the specific task of endeavouring to keep the horses quiet. We took turns on watch and when it was my turn, looking from one to another of my party I sensed the unease in their restless sleep, a sharp contrast from many a similar foray. As the day waned everyone was alerted and we began the preparations for the forthcoming evening raid. Firstly we ate. As no fires were ever contemplated on a raid we each had an amount of meat, cooked but long gone cold and sodden. It was never really satisfying and lay heavy and cold on the stomach. There was little alternative, however, and washed down with water and a few biscuits of tack, it provided some sustenance for the night ahead. Horses fed and watered, saddle and stirrup checked, we were ready as the light began to slowly disappear from the western sky. Rinyon Armstrong made a point of speaking to old Mangerton. “Did I not tell you? The place is as safe as houses and observed though we might have been, the inmates of yonder hovel have too much sense to try and raise the alarm through beacon or trying to steal away to Bewcastle. Just as they observe us they know we see them”. There was arrogance in his tone and swagger in his manner. Old Mangerton shook his head. His face had a look of acceptance and resignation mingled still with unease. Resignation for the fact that youth is youth. They have to learn each of the important lessons of life themselves in their time and in their way but he was not “Old” for nothing. He had spent a lifetime on raids like this. Often he would “ride” two or three times a week between October and February and not always at night. He hadn’t survived through being headstrong and reckless or...maybe, just maybe, he had been young once. “Let it be boy. We have seen the day through. Let’s be thankful for that and dwell on our differences no more”. As I sit here looking into the flames of the fire at Morton, I can here the wind getting up. It is beginning to howl outside. I suspect the beech across the burn will be bending to the south now. I hope the tenants of Sark are warm tonight. Perhaps I’ll take a ride out the morn and have a crack with Lyndsey in Glenzier. It’s a while since I have spoken to him. I thought he would have been clamouring for the news of last week and have ridden to Morton by now. But he has not, and in that he has the right of it. He is probably better off knowing nothing about it. I still feel restless at what is to come. But enough! My recollections of last week have some way to go! Sitting here warm and content it is hard to accept that just one week ago I almost lost my life along with the whole “riding” party. Now I can hear the women and young folk as they turn and move in their sleep. There is something comforting and reassuring about their little noises, little reminders that I am still part of a border family that has, down the centuries, not only survived, but enriched the time, the people, the place. Our family is part of moor, hill and burn. As old Mangerton raised himself wearily and rubbed the warmth back into his thighs I saw a glint of steel. Momentarily, in the twilight, I was at first unsure whether the spark of light came directly from the cottage. I had no time to reflect on this as within seconds it became obvious that a number of riders clad in jack and steel bonnet, with lances at the ready, were heading in our direction. They were emerging from the back of the cottage and in a flash, my mind, realising the abject danger all of us were now in, took in the situation. The riders heading towards us, gaining momentum at every stride, were the garrison from Bewcastle. It was hard to tell the numbers in the shifting light of semi-grey and isolated patches of brightness from the west, but it looked like the party was a fair size. Enhanced from the garrison of Berwick, no doubt! This alone said they meant business and were intent on putting to an end at least one cross border raid. How did they know we would be here? How had they remained so quiet for so long? Obviously they knew we were coming. Their presence was not fortuitous. That they were armed was obvious. That their number was substantial was apparent. I looked at Mangerton. He returned my look of wonder and puzzlement with one of steel and determination. He had no thoughts of recrimination for young Rinyon Armstrong in that look. It spurred me into action. Mangerton’s face had the grit and set of a born leader who knew we were in great trouble but had seen such situations before and knew we must act decisively, now, if we were to survive this night. It is of great pride to me that everyone of our group was mounted, ready for the fray, the blood of centuries of Borderers coursing through their veins. If this was to be the end then they would die bravely, boldly and requite with the martial prowess of all their forefathers. Not without a fight! “The glen narrows. If we move quickly now we could make a stand and then give them a fight. Two hundred yards up it narrows to such that only a couple of men could stand and force the issue. It is our only option but I fear this Captain of Bewcastle is well organised. This smacks of treachery. What if we are surrounded and there are English at our backs”. “It is unlikely” said Mangerton. “Given the numbers in front of us and having many times grappled with the Bewcastle garrison, I think their host and more are before us. It is unlikely there are more from Berwick behind us. I agree about the treachery. Some-one has warned Bewcastle of our visit, but given the two days since we planned this raid, it is again unlikely that Berwick could muster sufficient numbers to send a significant detachment to this area. Isn’t the town of Berwick itself being raided by the Scotts of Teviotdale? I hear the Trumbills are also in the area. No, Berwick has enough on its plate. It is of concern though that any are here and begs the question why. This raid is not significant enough to warrant such an opposition unless they have a thought to rid the Borders of some of its major lairds. I am here and also the Lairds of Whithaugh and Calfhills. “We must act quickly” he said. “Looking at the numbers afore us I don’t think we stand a chance by holding the ground here. Moving into the glen is our only option. The ground in front is too marshy to break out. I think we are outnumbered about three to one. To break out would be folly. We must concentrate our numbers on ground where we can dictate the terms and invite attack. The movement, flickering of his eyes, showed he was weighing up all the alternatives-testing in his mind the ploy of the opposition. His facial contours softened fleetingly when he said: “They are not disciplined. They have acted without thought. Put yourselves in their position. Wouldn’t it have been to their advantage for them to wait until we left the glen and moved across the marshy ground? Yes, they have been too eager which, my friends, is to our advantage. Let’s move back and let them come on. Rinyon, how steep are the banks of the glen farther up the burn? Are the rideable if need be? Could we split our force and possibly entice them to follow half of us should the need arise by riding up each side of the glen?” Mangerton’s eyes moved rapidly from side to side as the barrage of questions streamed from the lips of a man quick to exploit any and all possibilities when his back was to the wall. “The braes are fit to ride and should our stand in the narrower defiles not be going our way we could break out and give them a run.” Rinion’s face tensed and became flushed and animated at the thought.” Yes, we have that option. Either way we can turn them”. Was his approach the brashness of youth or a determined focus which would not contemplate defeat? The Bewcastle garrison and their Berwick confederates were almost upon us. No more than three hundred yards away when, to a man, without any word, command or encouragement, we all moved on, gave a silent but gentle dig of urgency to the ribs of the horses and trotted quickly further into the glen. There was no need for silence but the custom and stealth of inherent ages were always upon us as we moved determinedly backwards, back as far as we could go before turning to face the unknown strength of arms of the enemy. With the woods and hills behind us we knew we had the advantage. To the oncoming force it was as if we had disappeared as we blended into the background of bark and bent and half-light. Apart from the shuffle of hooves and the odd whinny we were lost, if only momentarily, to our pursuers. Perhaps this was enough to cause a hint of hesitation, a whiff of confusion. I smiled ruefully at Mangerton and Rinyon and heard just the semblance of a laugh, minimal and quiet from behind. Obviously the Laird of Whithaugh had seen what I was about to witness. “I think our friends out there are new to this game. Why, man, they stand out like kye on a snow filled hillside”, I said. Indeed shimmers of light on helmet and spur were enough to raise our hearts, quicken the blood. Moreover they handled their horses like novices, struggling and slipping on the rock clad sides of the burn. “Man, this can’t be the Captain after all”, Mangerton said, “Nor the regulars from Berwick I warrant” whispered Rinyon, tinge of triumph in his voice. “Perhaps the English forces are stretched this week and swell their numbers with raw recruits from the hovels of Cumberland.” This last was greeted with a cackle of derisory sniggers from the men of Liddesdale stretched out behind us. There was devilment and determination in the sound. Purposeful as they looked there was some caution and just a hint of hesitation in the advancing party as they strived to negotiate the rough terrain in the dark. Their leader obviously having decided it was all or nothing, bellowed, “C’mon lads we outnumber them. Easy pickings tonight! A dozen less of the Scotch bastards within the hour”. “I think he belies the truth of it. Stand fast until I give the word. We now have the level ground and nought but knowes ahint us. They will not win this ground easy now”. Young Rinion, all fired up and champing at the bit, was confident, knew exactly what was needed now. The English stopped and stood their ground, unsure what to do next. If they had a plan of attack it was not about to be put into action. It crossed my mind that, perhaps, they were just going to contain us in this, the narrowest part of the glen. It did not seem possible that we could be attacked from rear or sides given the sloping ground behind us. But it was a possibility, albeit a faint one. It was foolhardy, though, as control and formation would be nigh on impossible. Instantly we realised that we must take the initiative, reap the advantage of their hesitation. All thoughts of the superior ground we held and the natural camouflage of the backdrop forgotten, we rushed at them in the time honoured way of generations of our forebears. “Invictus,invictus”, Rinyon screamed. The battle cry of the Armstrongs fired our blood. We would not to be bettered by the milksops of Englishmen that confronted us. We rushed at them and, taken completely by surprise, they offered little resistance in the instant. The first four confronted fell sweetly to the long lance wielded with such dexterity and skill: the pride of the Reiver. Their screams, pathetic and lingering, unnerved their inexperienced horse which turned nervously into the second rank. Such confusion followed that thought of attack was discarded in the vain attempt to avoid being thrown and trampled by the stumbling, faltering mass of horseflesh thrashing in front of them. Before they could recover the Wighams and Crosiers hit them hard. Severed arms, gashed thighs, screaming, snorting horses, nostrils flared in fear, added to the mayhem. Nothing had been heard from their leader, the one who had shouted words of encouragement earlier and I wondered if he had left the fray knowing that it was a lost cause. Before the thought had receded from my mind I caught a glimpse of his grizzled, pockmarked face in the explosion of a dagg and saw the look of resolution and hatred in his steely eyes. Contrary to my earlier thought, this man meant business and was prepared to risk all on this night. In that glimpse I saw a true professional, the grit and experienced veteran of many a war and skirmish. Before I could react old Whisgills was pole-axed and dropped from his saddle without a murmur, the end of a career splattered with exploits of renown; of deeds which will be recounted often by the fire on a winter’s night in time still to come. On his right young Whithaugh half turned at the sight of Whisgills falling but stood no chance as a musket ball slammed with a dull thud into his shoulder, smashing bone, sinew and muscle. He slumped forward in his saddle, slithered sideways and fell headfirst to the ground. The sight was heart-rending yet comical as he lay there motionless, head concealed by the brake, one foot still in the stirrup. I lost most of my reason at this point. Others of our band, having realized the abject danger we were in, reacted as I did and rushed headlong across the few yards to our oncoming foe. A pistol flared and my lifelong friend and comrade in many a night “riding by moonlight”, Peartrees, fell, a patch of crimson spreading across his chest as he was flung backwards by the momentum of the shot, and with a grunt, he fell to the hard ground beneath him. Oblivious to the danger, my sole thoughts confined to avenging the death of a man known to me since boyhood, a man with whom I had experienced the bitter and the sweet, with whom I had laughed atimes and often cried, my only rational thought was that I must take retribution from the old, grizzled professional. As I came alongside him he lashed out with spurred foot at the side of my horse, intention to force me to the ground where I would be the more vulnerable to a sword thrust from above. But the beast, my soulmate, bonded through many days and hours working as one, had seen it all before, and acted instinctively with a shuffling movement beyond my control and narrowly avoided the deftly aimed mortal swipe. Unfortunately, I was thus unbalanced and my lunge with the lance, so often true, glanced ineffectively off the left arm of the enemy captain. In one swift dexterous swing he brought his sword about aiming at, not me, but again the horse, this time at his fetlocks. This man definitely knew where his focus lay, as thrown from a stricken horse, I would be easy prey to any of my mounted enemies. Fortunately his first attempt to wound the horse had frightened the beast into immediately responding to my urgent pull to the right on the reins. The Captain’s sword lunge then missed my horse’s thighs by a hairsbreadth. So sure was he that his thrust would find a target, so sure that he had the upper hand, that his whole strength and power were directed into the blow. Having missed, his sword swung ineffectively through the air and he fell forward into the pommel of his saddle. All this happened in the blinding of an eye but gave me enough time to take deliberate and deadly aim at his side where my lance stuck fast and deep. He turned in his death throes and gave me a seething look of astonishment. Was it really happening to him? The man who had bested many a more formidable foe? His look faded and returned but now with an intensity of hatred I had never seen in a lifetime of close quarter fighting. Wily fighter, seasoned campaigner lost to a Liddesdale limmer. The look said it all. I did not have time, or so I thought, to witness the aftermath of my killing blow, as I immediately turned instinctively to cover my back. I need not have done so. As I glanced around me I saw that five or six mounted riders, English, had left the fray and were heading east as fast as their steaming, snorting horse would carry them. There were at least a dozen of the English strewn across the ground, some twitching, others moaning lowly. The scene, before my eyes was not a pretty one. It made me sick to the heart, such death and butchery for no gain whatsoever .But so it had aye been between the two nations of England and Scotland. A couple of horses grazed quietly in the darkness in that curious way that animals have of being able to completely detach themselves from the death and dying, the frenzied atmosphere of seconds before. Mangerton and Rinion dismounted, patted their respective mounts and blew warm, soothing nonsense into their nostrils. They ambled wearily up to me. “An ill-fated night! Not what we were here to do. I fear it has a long way to go yet,” sighed Mangerton. “Yon fellows will be back at the castle by now and spreading the word of this night’s work. I fear we must leave this god-forsaken place quickly”. “What about Peel o’ the Hill” urged a Whigham. “Let’s not forget what we are about”. “Forget it! Bewcastledale will be lit from end to end before we mount and leave this place. The Nobles will be mustering by now”. This was Rinyon, an old head on young shoulders. We must depart this place right now. Anyway we have a duty to perform. Our dead will not bury themselves and I, for one, am not leaving them for carrion on English ground”. “Well said, young Rinyon. We have a duty to perform elsewhere before this night is finished. Let’s away for Liddesdale”. As I said this I felt this boy would one day be more than just a worthy member of his clan. He was a born leader. Pity he wasn’t the direct heir to Mangerton. And so we quickly and dutifully picked up our dead and headed north and west, up the steep slopes of the glen and over the top. A gathering breeze, cool and gentle, hit us as we breasted the top. Soon we would pick up one of the trails which would skirt the Waste and lead us down the Kershope and home.